Lemon Myrtle – Clean your floors naturally with antibacterial lemon myrtle in a traditional gel formulated from soap flakes. "Brilliant streak free finish" For use on timber, tile, cork and laminate floor surfaces. Simply shake bottle before use, one squirt of the product (approx. 20mls) portion into “hot water” from your tap while filling your bucket. This product is suitable for all hard floor surfaces. Best used with a micro fibre head mop and mopping the surface to as dry as possible. 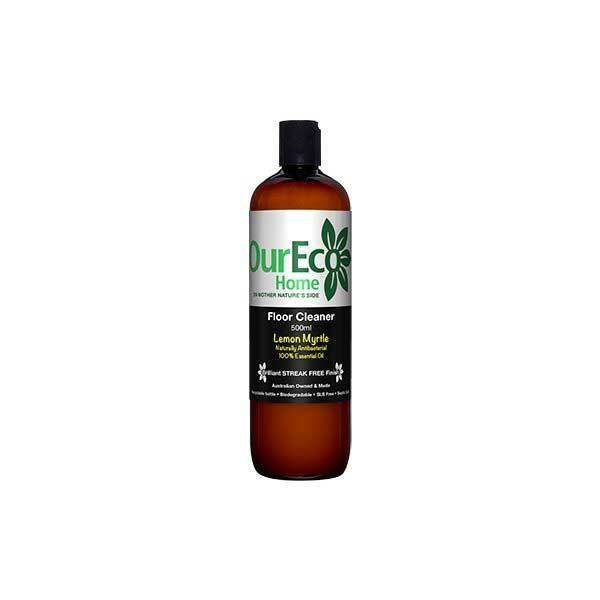 The low sudding properties of this product will leave a sparkling streak free finish to your floor surfaces with the added fragrance and antibacterial properties from the Lemon Myrtle Essential oils.